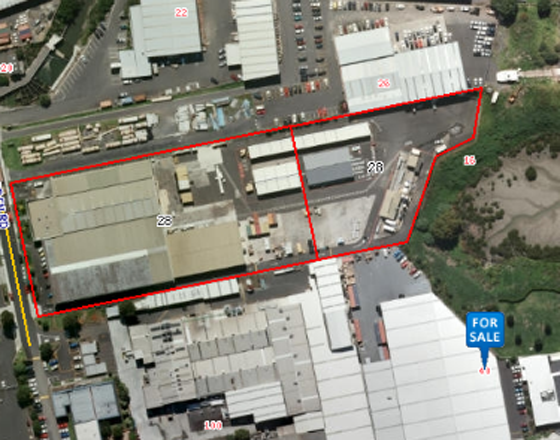 The property comprises the substantial industrial facility progressively developed from the 1980’s to provide medium stud warehouse accommodation with associated offices and amenities, as well as specialist dangerous goods accommodation. An additional surplus land component provides for large sealed yard areas to the rear of the site. Situated to the eastern side of Bowden Road, a cul-de-sac extending from Carbine Road to boarder an inlet off the Tamaki estuary.